The monstrous alien bioweapon Kaiju returns in the forthcoming sequel to ‘Pacific Rim’, and a new generation of heroes led by John Boyega as Jake Pentecost must band together to save humanity with a new and improved Jaeger defence program. ‘Pacific Rim: Uprising’, directed by Steven S. DeKnight, is coming next Spring. Set ten years after the Battle of the Breach, ‘Pacific Rim: Uprising’ sees humanity face an unexpected new Kaiju threat. The war between mankind and their Anteverse adversaries is far from over, but in the last decade the Pan Pacific Defense Corps (PPDC) have developed their Jaeger program to be the most powerful defence force the world has ever seen. 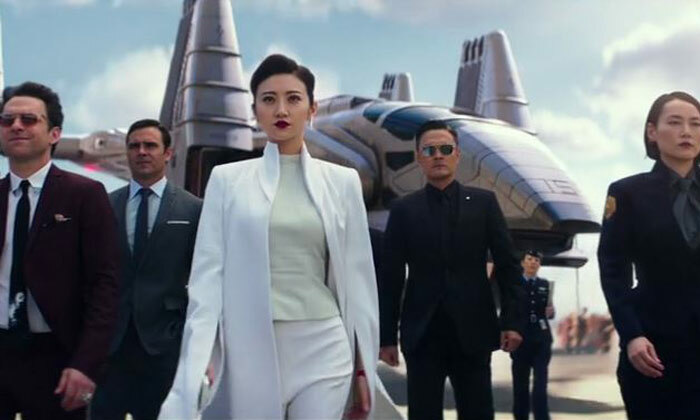 Enlisted into the new army of Jaeger pilots with the supervision of the now deceased General Stacker Pentecost’s adoptive daughter Mako Mori, played by Rinko Kikuchi, is Jake Pentecost; a former pilot and Stacker’s biological son; and 15-year-old hacker Amara Namani. They are joined by Jake’s personal rival Nate Lambert, but they must learn to set aside their differences and work together to have any chance of saving humankind from extinction. Also among the returning cast are Charlie Day and Burn Gorman as scientists Dr. Newton Geiszler and Dr. Hermann Gottlieb respectively, while Charlie Hunnam – who played lead character Raleigh Becket in the first film – is notably missing from the second instalment. 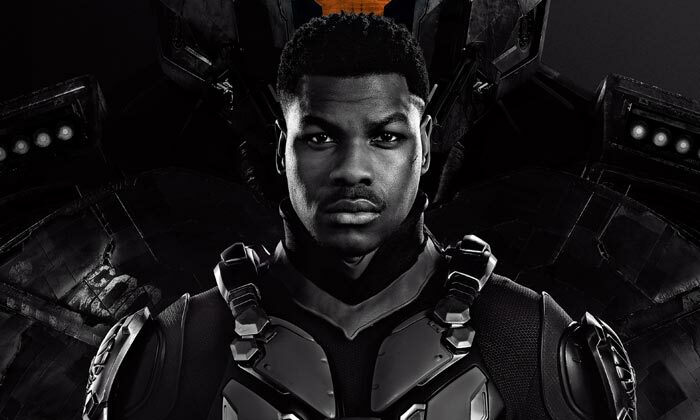 Idris Elba is also absent from the new film, given that his character passed away in the first movie after sacrificing himself by detonating a bomb on the Jaeger Striker Eureka. We’re unlikely to see him in any future sequels. The film is the directorial feature debut of Steven S. DeKnight, who has previously helmed episodes of TV shows ‘Angel’ and ‘Smallville’. Guillermo del Toro was originally supposed to return to direct, having helmed and written the 2013 movie with Travis Beacham, but he eventually decided to step down in favour of directing the fantasy thriller ‘The Shape of Water’ instead. He is, however, on the production team alongside star John Boyega with his first ever producer credit. ‘Pacific Rim: Uprising’ is set to hit theatres on March 23rd 2018.